Ramadi (Iraq) (AFP) - The Islamic State group abandoned its last stronghold in Ramadi Sunday, effectively handing Iraqi forces their biggest victory since last year's massive jihadist nationwide offensive. Parliament Speaker Salim al-Juburi issued a statement congratulating the "heroes of the security forces for a great victory, which resulted in the liberation of the city of Ramadi from terrorism." The US-led coalition, which was heavily involved in supporting Iraqi forces in Ramadi, also congratulated them on the success of an operation that began soon after they lost the city in May. "It is the result of many months of hard work by the Iraqi Army, the Counter Terrorism Service, the Iraqi Air Force, local and federal police and tribal fighters all supported by over 600 coalition air strikes since July," spokesman Colonel Steve Warren said. Iraqi forces backed by US-led coalition air strikes had punched into the centre of Ramadi on Tuesday, in a final push to retake the city. 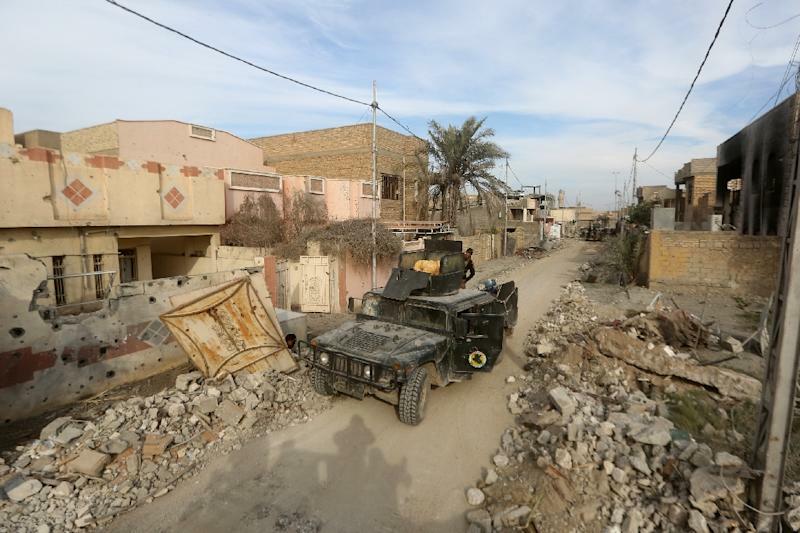 Fighting over the past two days had been concentrated around the government complex, whose recapture had become synonymous with victory in the battle for Ramadi. According to medical sources, 93 members of the security forces were brought in with injuries on Sunday alone. "The dead bodies are taken directly to the main military hospital" near the airport, said one hospital source. At least five government fighters have been killed over the past two days alone, but no official has divulged any overall toll for the operation. Estimates a week ago were that the Islamic State had around 400 fighters to defend central Ramadi, many of them protecting the government compound. Those numbers were thought to have drastically declined over the past two days, with several fighters retreating from the main battle and dozens of others killed in fighting or in suicide attacks. Ali Dawood, the head of the neighbouring Khaldiya council, said IS fighters used civilians as human shields to slip out of the government complex. 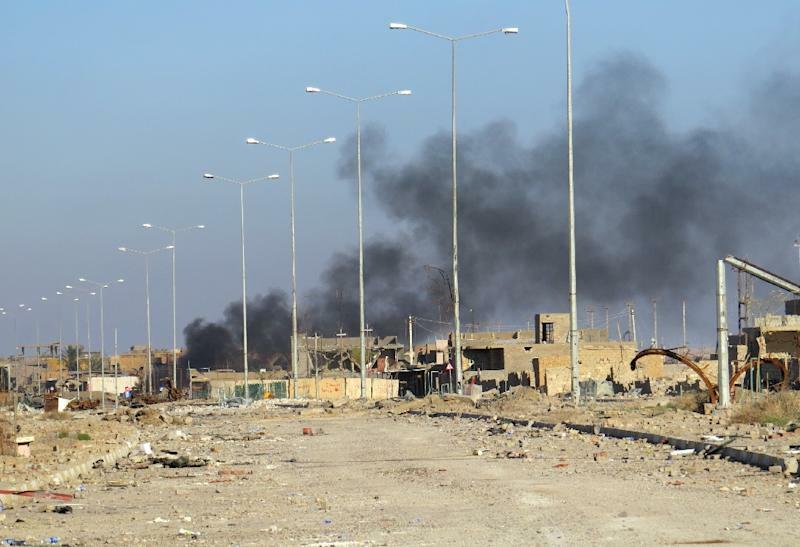 "Daesh fighters forced all the families living around the compound to go with them in order to flee towards Sichariyah, Sufiya and Jweiba," on the eastern outskirts of Ramadi, he said. He had said on Saturday that more than 250 families had managed to escape the combat zones since the start of the operation and had been escorted to safety by the army. Ramadi lies about 100 kilometres (60 miles) west of Baghdad and is the capital of Anbar, which is Iraq's largest province and borders Syria, Jordan and Saudi Arabia. A victory there would help boost Iraq's much-criticised military, which collapsed when IS took over large parts of the country in June 2014. The "Hashed al-Shaabi" (Popular Mobilisation), a force dominated by Tehran-backed Shiite militias, played a leading role in the recapture of several cities and areas but stayed on the fringes in Ramadi. "The prestige goes to the Iraqi military," said political analyst Ihsan al-Shammari. "As an institution, it's the first time since the Daesh invasion (in June 2014) it has achieved a victory without the support of the Popular Mobilisation force," he said. Shammari argued that the positive outcome in Ramadi would vindicate Prime Minister Haider al-Abadi as well as the coalition, both frequently criticised for failing to retake Ramadi faster. 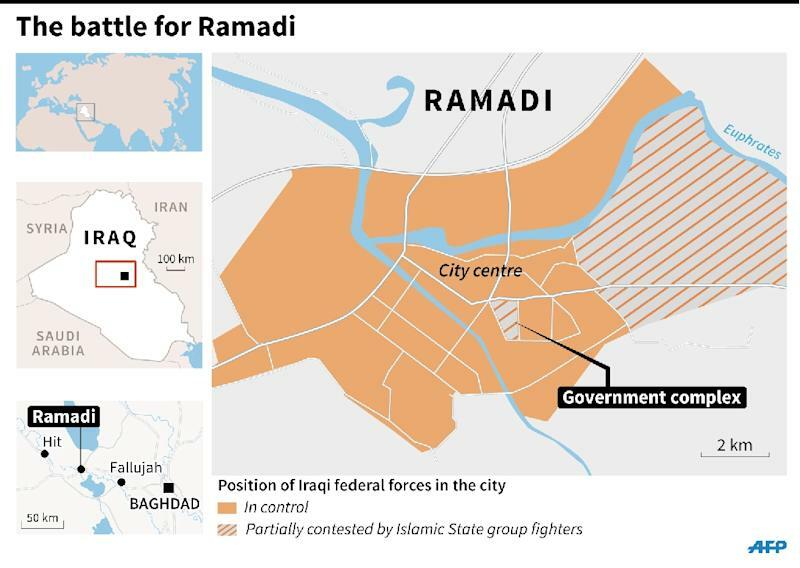 Government forces held off months of IS assaults in Ramadi until May 2015, when the jihadists blitzed them with massive suicide car bombs and seized full control of the city. The fightback has often been laborious and poisoned by political wrangling, but Defence Minister Khaled al-Obeidi said a week ago that Iraqi forces had reclaimed half of the territory nationwide lost to IS last year. IS still holds Fallujah, which lies in the Euphrates Valley between Ramadi and Baghdad, as well as the country's second city of Mosul.